Whenever light is simulated, visibility testing is required to determine which surfaces are illuminated by light rays. Additionally, strong performance re- quirements are imposed even by off-line rendering applications. 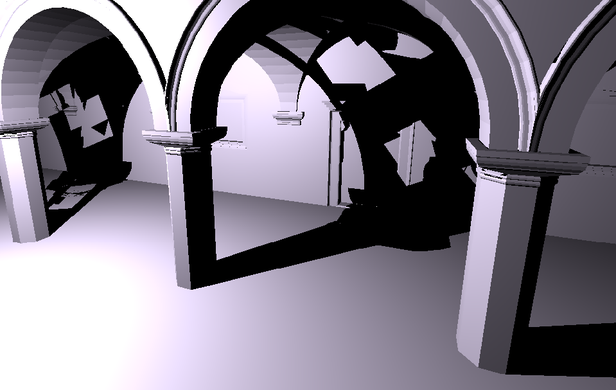 Shadow Mapping allows to perform fast visibility tests, but only from a single point per shadow map. If visibility needs to be tested to many points, large num- bers of shadow maps are required, which are expensive to create and require substantial amounts of memory. 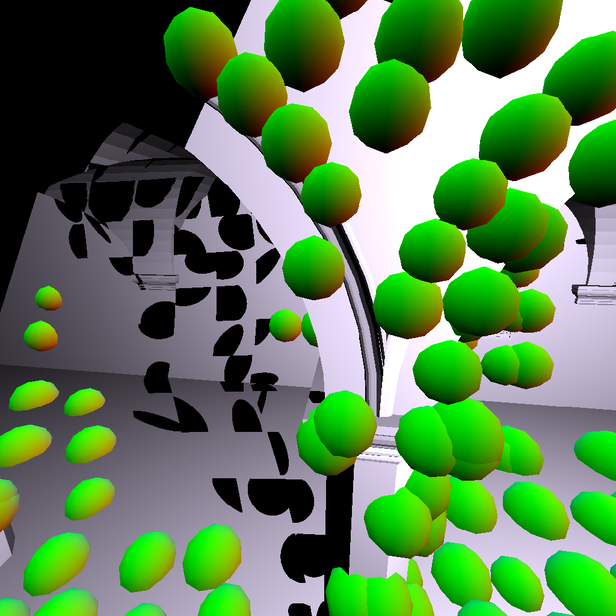 In this work, we propose a model that allows to combine information from shadow maps extended with occlusion information to accelerate ray- intersection tests to points that no shadow maps were created for. We present an implementation using the algorithms and datastructures intro- duced in Microrendering [Ritschel et al., 2009]. While the Microrendering-algorithms require modification to integrate well into our model and our current approach impacts performance, we are able to accelerate applications that use hundreds of rays per target point. We are hopeful that further modifications will be able to demonstrate the full potential of our model.